Have you ever dreamed of taking a boat to a new destination beyond the horizon? MBAC is excited to announce the addition of Coastal Navigation to the list of US Sailing courses and certifications offered at our facility. You will learn the art of traditional navigation techniques while integrating the use of modern electronic navigation tools in this classroom-based course. Coastal Navigation graduates will be able to determine their position with a high degree of accuracy and confidently navigate a vessel to a location beyond the horizon. This means you will be able to figure out where you are and how to safely get to where you want to go. There is no prerequisite for this course, making it a great class to take no matter what your sailing knowledge or ability. If you are interested in navigation, this is the class for you! Other topics include aids to navigation, compass use, plotting, correcting a course for leeway and current, and navigational strategy. 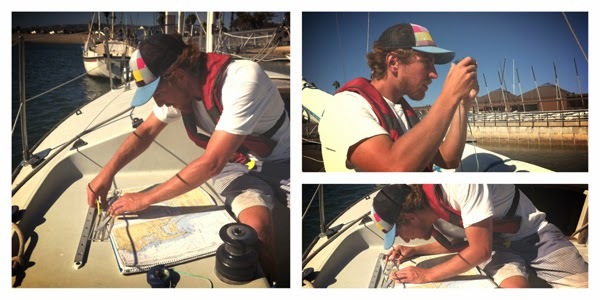 The course culminates in a written test that allows you to obtain your US Sailing Coastal Navigation certification. The first Coastal Navigation course will begin Wednesday, October 15, from 5:30-7:30pm and will run on six consecutive Wednesdays until November 19th. The course fee is $245 ($195 for current SDSU and UCSD students) and class space is limited. Sign up for this course by calling 858-488-1000 or sign up online and gain the skills and confidence you need to sail off into the sunset! If you have any questions about this or any of our sailing courses, please don’t hesitate to contact Paul Lang, Instructional Supervisor for the sailing department, at [email protected] or 858-488-2040 x208.